Place ribs in a large roasting pan. In a bowl, mix together brown sugar, ketchup, soy sauce, Worcestershire sauce, rum, chile sauce, garlic, mustard, and pepper. 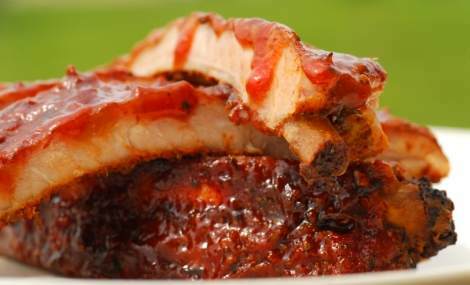 Coat ribs with sauce and marinate at room temperature for 1 hour, or refrigerate overnight.